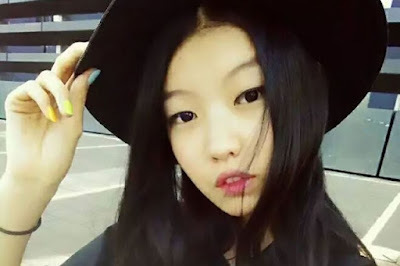 News Every Hour : Meet the 16 year old Chinese model whose beauty is seen "once every 10,000 years"
Meet the 16 year old Chinese model whose beauty is seen "once every 10,000 years"
16 year old Tang He, an unknown face from China is breaking the internet with her beauty after reaching the finals of the prestigious Elite Model Look contest. According to Daily Mirror, they say she is the sort of beauty who only appears once in every 10,000 years. The teenager’s already gained herself an avid fan club, with her catwalk pics and personal daily snaps being regularly shared on the Chinese Microblogging site Sina Weibo. With a perfect model height- at 5”10 she would be considered unusually tall in her culture, and distinctive Asian features, she has plump lips to make even Kendall envy.